An internationally known Princeton "bioethicist" and animal-rights activist says he'd kill disabled babies if it were in the "best interests" of the family, because he sees no distinction in the child's life whether it is born or not, and the world already allows abortion. 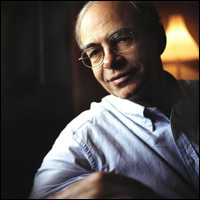 The comments come from Peter Singer, a controversial bioethics professor, who responded to a series of questions in the UK Independent this week. Earlier, WND reported Singer believes the next few decades will see a massive upheaval in the concept of life and rights, with only "a rump of hard-core, know-nothing religious fundamentalists" still protecting life as sacrosanct. To the rest, it will be a commodity to be re-evaluated regularly for its worth. His newest sermon on his beliefs came in a question-and-answer interview the Independent set up with readers. Singer's response came to Dublin reader Karen Meade's question: "Would you kill a disabled baby?" "Yes, if that was in the best interests of the baby and of the family as a whole. Many people find this shocking, yet they support a woman's right to have an abortion," he said. He added that one point on which he agrees with the pro-life movement is that, "from the point of view of ethics rather than the law, there is no sharp distinction between the foetus and the newborn baby." The statement furthers the arguments that Singer's position is just an extension of the culture of death that has developed in the world, with euthanasia legal in some locations, abortion legal in many and even charges that in some repressive societies there's an active business in harvesting healthy organs from victims in order to provide transplants for the wealthy. "At least he's consistent," Alex Schadenberg, executive director of the Euthanasia Prevention Coalition, told LifeSiteNews.com. Singer holds that man is no different from other forms a life, and therefore man's life is not worth more than, for example, a cow. He told readers he'd kill 10 cows before killing one human, but that's not because they are of less value, only that humans would mourn. "I've written that it is much worse to kill a being who is aware of having a past and a future, and who plans for the future. Normal humans have such plans, but I don't think cows do," he said. However, he did qualify his description with the word, "normal." "Once again Singer is making distinctions between human beings he would consider normal and those he would consider not normal, thus he is deciding who is a person and who is not," Schadenberg told LifeSiteNews. "Non-persons are allowed to be killed," under Singer's theology, he said. Singer also said the focus on infanticide was not his, but those who oppose him and the media. "It's always been a minor aspect of my work," he said. Singer declined to answer whether he believes Steve Irwin, TV's "Crocodile Hunter," got "what he had coming," saying he never watched the television show. Irwin died recently while filming an undersea special when he approached a stingray and was fatally stung. But he advocated for the closure of health research centers where animals are used and said it's not at all unreasonable to ascribe human characteristics to animals. "Anyone who ascribes rights to babies or humans with intellectual disabilities must be willing to attribute rights to beings who can't understand the concept," Singer said. "It's the moral agents, the ones who are acting, who need to understand the concept. Those to whom we attribute rights, do not need to understand these concepts." The only moral absolute, he noted, "is that we should do what will have the best consequences for all those affected by our actions." In WND's earlier report, Singer said that the court-ordered circumstances that killed Terri Schiavo, a disabled Florida woman, in 2005 may be the turning point at which holding the position of the sanctity of life became "untenable." She died after a court ordered, upon her husband's request, that water and food be withheld from her. Singer's support for legalized euthanasia and his endorsement of killing the disabled for up to 28 days after birth also sparked protests against his hiring in 1999 by Princeton, a university founded by the Presbyterian denomination. Editor's note: WorldNetDaily has been reporting on the Terri Schiavo story since 2002 – far longer than most other national news organization – and exposing the many troubling, scandalous, and possibly criminal, aspects of the case that to this day rarely surface in news reports. Read WorldNetDaily's unparalleled, in-depth coverage of the life-and-death fight over Terri Schiavo, including over 150 original stories and columns.